The 2017 Honda Civic Hatchback is the classic 5-door sedan with exhilarating acceleration, while still maintaining impressive fuel economy. The well-appointed and roomy interior is a hallmark of this tried-and-true small sedan. The hatchback feature allows for easier loading and unloading of larger cargo, making this a more dynamic choice in a sedan. This beauty is loaded with plenty of standard and advanced technology and modern safety features. 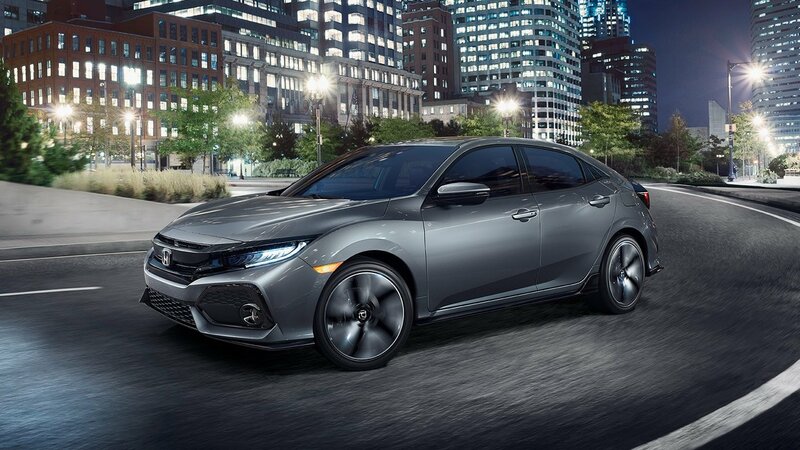 When you go out in search of a 2017 Honda Civic Hatchback for sale in Fontana, CA, or anywhere in the Inland Empire, look no further than Rock Honda. We boast an extensive 2017 Honda Civic Hatchback inventory near San Bernardino, CA and near Rancho Cucamonga, CA. Our professional staff consists of sales experts, as well as highly qualified service technicians. Our goal is to keep our customers happy and keep their vehicles well-maintained for many years. Be sure to ask about our current special offers when you come in to test drive a 2017 Honda Civic Hatchback near San Bernardino, CA. Keeping on par with all Honda vehicles, the 2017 Honda Civic Hatchback in Fontana, CA is well-equipped with many standard features. As expected, this vehicle is loaded with standard high-tech features, such as Bluetooth® HandsFreeLink®, SMS Text Message Function, and speed-sensitive volume control. Also standard is a large 5-inch color LCD screen. You can also opt for the available and massive 7-inch display with a high resolution WVGA, electrostatic touch screen. Advanced safety features include the standard tire pressure monitoring system, which alerts you to a potential problem before it becomes a hazard. The Collision Mitigation Braking System is an optional advanced safety feature. 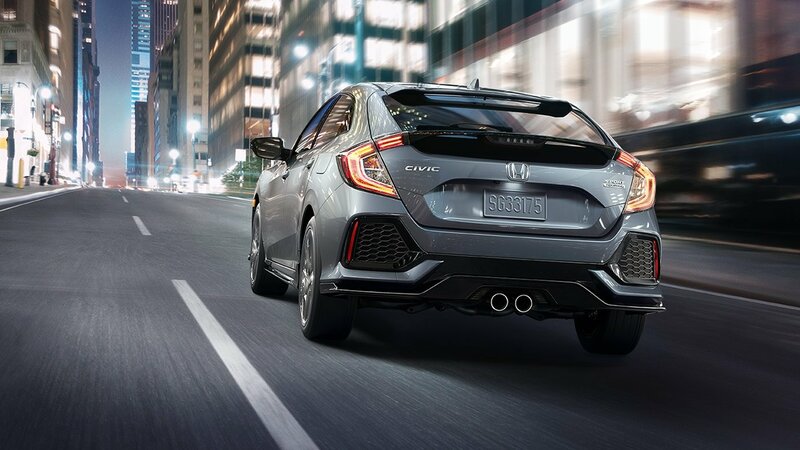 The 2017 Honda Civic Hatchback combines comfort, safety, and technology to create a reliable and fun small sedan. The 2017 Honda Civic Hatchback is well-powered with a 2.0-liter inline 4-cylinder engine. This engine delivers up to 174 horsepower and 167 lb.-ft. of torque. If you are looking for an extra boost of acceleration, you can select the optional 1.5-liter turbocharged engine. Both options include direct fuel injection and a drive-by-wire throttle system. These engines can be paired with either the standard 6-speed manual transmission or the Continuously Variable Transmission, which is available on certain models. The 2017 Honda Civic Hatchback is both peppy and fuel efficient. Stop by Rock Honda in Fontana, CA to rediscover this Honda classic and take one out for a test spin!